Warning! What is Happening is the Criminalization of All Islamic Actions! On Tuesday, 27/11/2018, there will be an event that would have a significant impact on the entire Muslim community in Denmark. The law of preachers, known as the Imam Bill, is to be tried in the judiciary for the first time. On the basis of political desire, the public prosecutor has filed a historical case, in accordance with Article 136, paragraph 3, of the Penal Code, against an imam, alleging incitement to the killing of Jews in a Friday Khutbah (sermon). In a desperate attempt to justify the enactment of the above-mentioned law, and to make this case a base on which to build in the future, the authorities have taken up an issue that has nothing to do with anti-Semitism or the Jewish people, but with the Zionist occupation of the land of Palestine. Their goal behind this case is to criminalize any criticism by any imam or Islamic preacher in the future, using the lie of anti-Semitism as a cover. Since the enactment of the Imam Bill in 2017, the Danish authorities have not been able to find a case for the trial of this law, which was issued by politicians following the program broadcast by the Danish TV2 in 2016. The documentary program titled “The Mosques behind the Veil”. The law was then called the Imam Bill, according to what the politicians said, that the law is specifically directed against the Muslim community, which approves the Shariah laws for legislation. In the explanations of the law, it stated that to consent to polygamy (in accordance with the provisions of the Islamic Shariah and not on a secular basis) is punishable by imprisonment for up to two years. The vague and ambiguous wording of the law, such as “to consent acts contrary to the law”, made some specialists see it as discrimination. For example, the lecturer at the University of Copenhagen, Bente Hagelund, said: “Incitement to violence and vandalism of the community is now a crime. It is evident by the motives that the bill targets legal, but unpopular statements… as well as discriminating between the organizations we like and those we don’t like.” (Politiken Newspaper 14/08/2016). Among the many signs that this case is politically motivated, the public prosecutor stated and clearly showed his lack of confidence on the Danish TV2 on 24/07/2018, when he said: “I think it’s right for the court to now have an opportunity to assess the case.” This shows that the prosecution filed the case despite their lack of confidence in its coherence. This lack of confidence is not surprising, since the portion of the sermon on which the case was based was clearly directed against the barbaric Zionist practices by the Occupation authorities, and was mentioned in the media after the Zionist propaganda channel known for its connection with the (Israeli) Mossad broadcast a portion of the sermon. The topic of the mentioned sermon given in Al-Farouk Mosque in March 2017 was the Arab Summit that was held at that time. The sermon discussed the issue of Palestine, and presented the Islamic solution for the issue of military occupation, namely, Jihad, by an Islamic army to eliminate the occupation. It is not new that anyone who criticizes the Zionist terrorist entity is described as anti-Semitic by Western politicians and the media. This label has been attached to some Jews who criticized the practices of the Zionist entity. Western governments including the Danish government and many of its companies and banks openly support the Zionist occupation and help it with its crimes. When Muslims criticize the Zionist entity and offer the Islamic solution to eliminate the (Israeli) occupation by jihad to liberate Palestine, it is natural that a channel such as the Zionist Memri TV and its lackeys from Western politicians do what it does. This case is not directed against an imam or a mosque, but it is a case that is intended to criminalize every Islamic opinion that does not appeal to politicians. Today an imam of al-Farouk Mosque is being tried, tomorrow there will be another imam, another mosque or a known Muslim figure, showing his support to Shariah law on social media. It strains credulity, especially with what has clearly emerged in recent years from the enactment of anti-Islamic laws, that some people to believe that this is directed against a particular person or organization, and will not affect others. 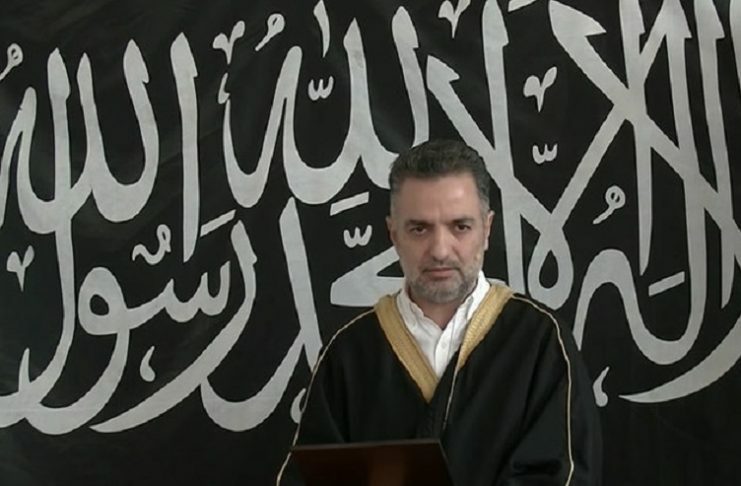 The purpose of issuing the Imam Bill is to criminalize the consent of the provisions of Shariah, which appeared in the above-mentioned program, which was broadcast on Danish Channel 2 television to show support to Shariah law, which politicians exploited to prevent, as is known in totalitarian police states, despite they consider themselves as guardians of freedom of expression! Whatever the outcome of this case, it will be a terrible defeat for the politicians who are hostile to Islam and for the government in the foreground. If the case acquitted, the defeat will be the failure of their first case after the law is passed to be acquitted. Otherwise, if the verdict is handed down, the loss will be confirming that the law aims to limit the right of Muslims to express their opinions, including the issue of the liberation of Palestine, thereby showing that “freedom of expression” which the West advocates does not include Muslims. With the niqab (face veil) law, the law of minority gatherings, restrictions on private schools, and the Imam Bill, the politicians are following the series of prevent, which clearly shows the fragility and falsehood of their principles. They bury the values that they have long sung to guard, which they have always demanded the Muslims to show their loyalty to them, and they destroy them with their hands and tongues. Therefore, Muslims should feel proud and honored with the greatness of their values and increase their adherence and inviting to them.